The Milkshake family is growing! We will be the parents of MilkshakeS mid-late Summer! 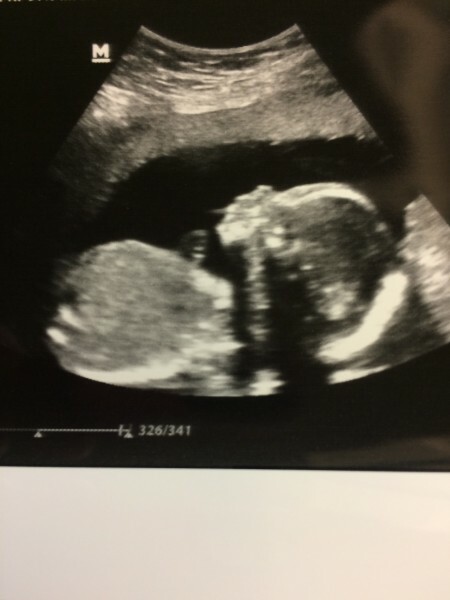 It’s a girl and we have named her Morgan Marie. We have told Logan but she doesn’t quite understand. We think she will be an amazing big sister! She has baby Elmo dolls and she loves to hug them and lay them in the Rock-N-Play and rock them. When it’s possible we take her to check-ups so she can see the baby and hear the heart beat. She is usually more interested in the different toys and books the offices have. One thing she loves to do is get in the Pack-N-Play and turn on the crib TV. It’s still very early to have it set-up but after Krystyn and B left she was having so much playing in it we’ve left it up. 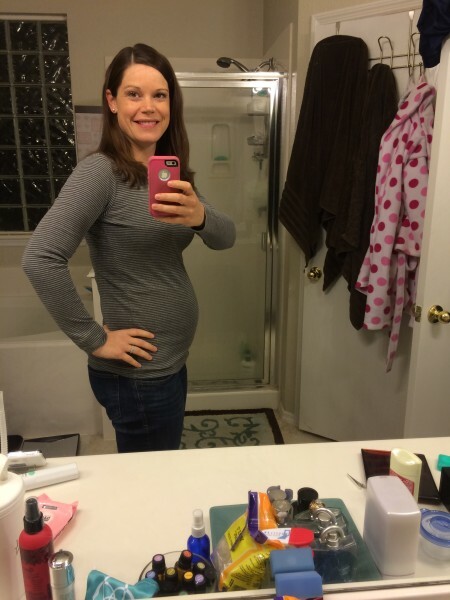 A few 2nd trimester bump pictures for your viewing pleasure. 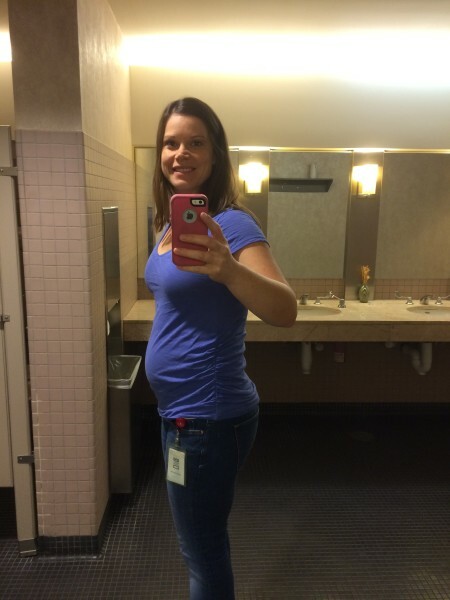 I will make sure the next baby bump pictures I post are not selfies taken in my work restroom! We are very excited to meet our second baby girl, for now we will enjoy every second we can of Logan not having to share us! She has her very first Easter Egg hunt Saturday, and then we will have one in our backyard for her Sunday. My boss found these amazing Elmo Easter eggs I can’t wait for her to find. Have a Happy Easter! 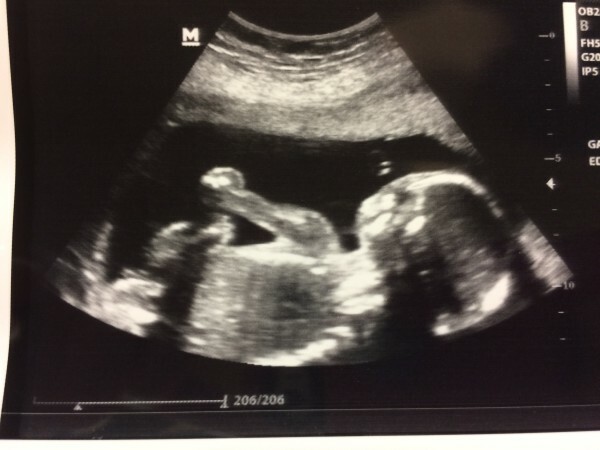 I don’t think I’ve ever seen an US of a baby on their side like that before! That bathroom is the BEST Place to take selfies! You look GREAT! I knew as soon as I saw the 2nd little milkshake pop up in your header bar. Congrats!!!! 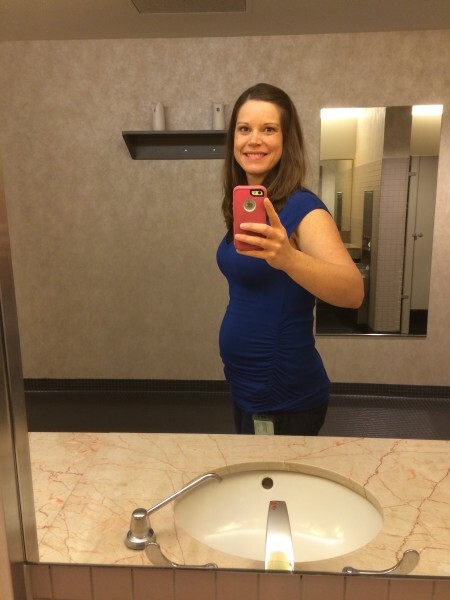 I have been reading your blog every day since before Logan was born and can’t wait to see her as a big sister!